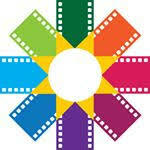 The OUTshine Film Festival is recognized as one of the most influential annual events in South Florida. MIAMI - April 5, 2018 - PRLog -- BizBash, the premier resource for event and meeting professionals in North America, has announced that the OUTshine Film Festival has been recognized on its annual list of Top 100 Events in Miami/South Florida. These influential events continually challenge the norm, push limits to evolve, and engage their audiences in an effective and meaningful way. The OUTshine Film Festival is twice annual film festival that showcases award-winning LGBTQ films that shorts that show the diversity of voices that make up the LGBTQ community. This year, the festival is celebrating its 20th anniversary season in Miami with over 80 film premieres, celebrity studded red carpets, parties, and panel discussions. "We're honored that not only a cultural event is making the list of top events in South Florida, but also that an LGBTQ event like our film festival is gaining national recognition." says Executive Director, Victor Gimenez"
"People today value experiences over things, and the Top 100 Events are events anyone would want to go to," said Beth Kormanik, BizBash editor in chief. "They represent the best of live events and provide attendees and sponsors ideal environments to gather to exchange ideas, network, and have fun." The OUTshine Film Festival in Miami kicks off on April 20th, 2018. Tickets for the film fesitval can be purchased here (http://www.outshinefilm.com).